Science And Fiction Without Science Fiction : 13.7: Cosmos And Culture Once in a while Hollywood produces a gem, says physicist Adam Frank. He cherishes movies that fold together science and humanity in a way that allows us to look at ourselves and our society anew. This scene from Inherit the Wind means more to me than a thousand science fiction films full of bug-eyed monsters with pulsing brains. I grew up with science fiction movies. I'd watch everything and anything that showed up on TV (this was the 1970s, and there were only six stations). Giant radioactive ants, robots with evil intentions, trips to Mars that went horribly astray — I devoured them all with glee. But none of those films drove me into the arms of science like Inherit the Wind, a movie about the Scopes Monkey Trial. It wasn't science fiction, but fiction that was about science. Done well, films like this can tell us far more about where we are, who we are and where we are going as a culture than anything involving giant radioactive bugs. "SoS creatively pairs screenings of classic, cult films, and documentaries with lively presentations by notable science and technology experts. Each film is used as a jumping-off point for a speaker to introduce current research or technological advances in a manner that engages popular culture audiences — from the function of the amygdala in the zombie brains of Night of the Living Dead to how far epidemiology has come since The Andromeda Strain." My job is to kick off a discussion about parallel universes after a showing of Another Earth. What's compelling here is that the film really isn't about the science of different universes. Instead, it's about the emotional weight of alternative narratives to our own lives, the "what ifs" we carry around with us. 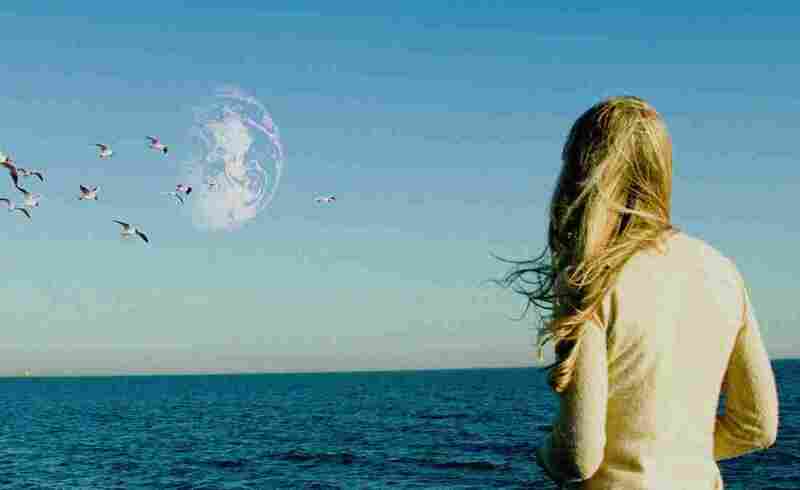 The 2011 film Another Earth, directed by Mike Cahill, explores very human questions against an improbable backdrop. Another Earth shows what movies can be when they focus on science and fiction — rather science fiction. Science becomes a device that allows us to explore questions about the human condition. While some of these films, like The Spirit of St. Louis, celebrate new technologies, others, like The Man in the White Suit, explore the social upheaval they can bring. And some films, like A Beautiful Mind, are simply biographies. The best of the films in the SoS series (or the TCM spotlight) remind me of how rarely we get to see science thoughtfully treated as part of our lives, not just the lives of future generations. The culture we're building raises so many questions. Sometimes fiction — not science fiction — is the best way to explore the answers.